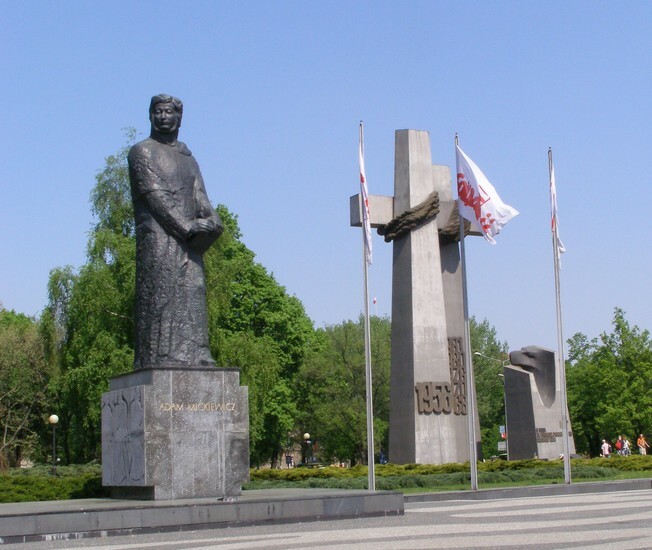 However impressive the nearby Adam Mickiewicz is, he finds himself outshone by the soaring 1956 Uprising Monument. 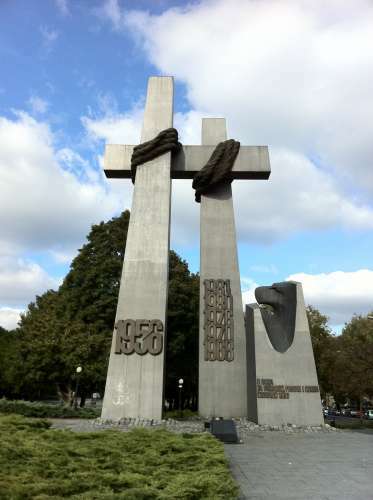 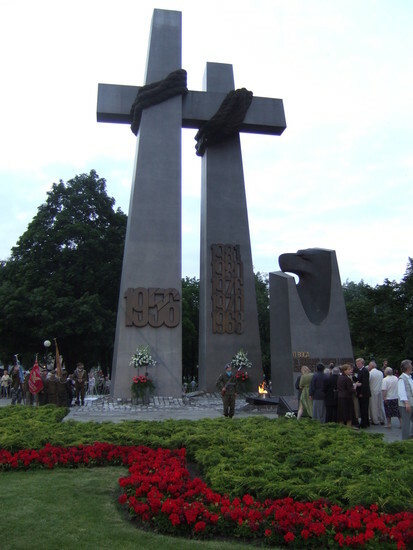 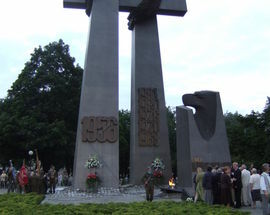 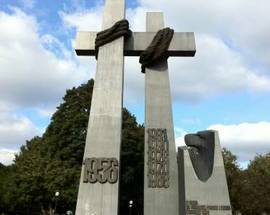 Made of steel, the two crosses (21 and 19 metres for the number crunchers) were unveiled on June 28th, 1981, the 25th anniversary of one of the first Polish rebellions against Soviet control. A tablet commemorates a visit by Pope John Paul II in 1997, while close by is an excellent multi-lingual electronic information point filled with facts about the uprising.